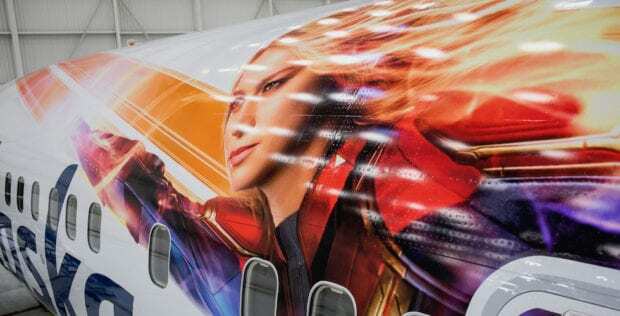 Ahead of Marvel Studios’ release of “Captain Marvel” on March 8, International Women’s Day, Alaska Airlines has unveiled a special-edition plane that features Marvel’s first female Super Hero lead. Fly higher, further, faster with this special-edition plane from Alaska Airlines featuring Marvel’s newest hero! The Captain Marvel-themed plane made its debut on Feb. 5 at Sea-Tac International Airport as a special gate celebration for guests traveling to Orange County, Calif. 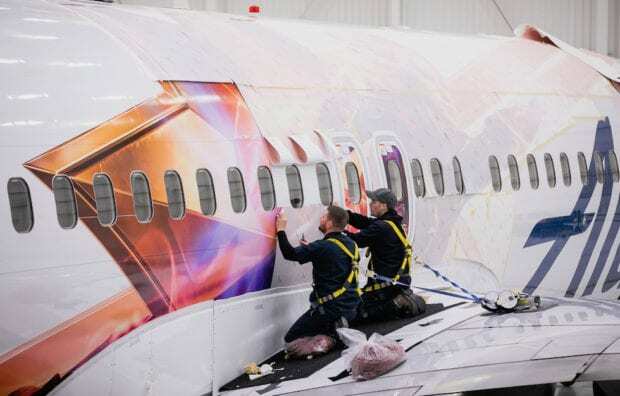 Guests boarding the Captain Marvel-themed plane will see the film’s logo and heroine upon boarding. 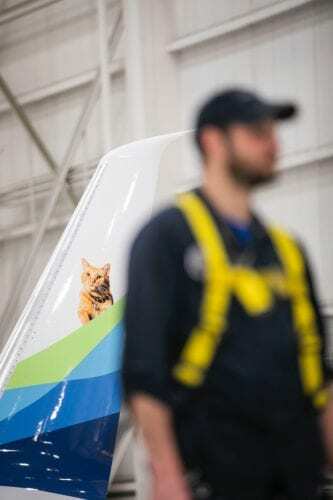 The sight of Captain Marvel’s cat, Goose, will surprise guests when they see him seated over the wings. 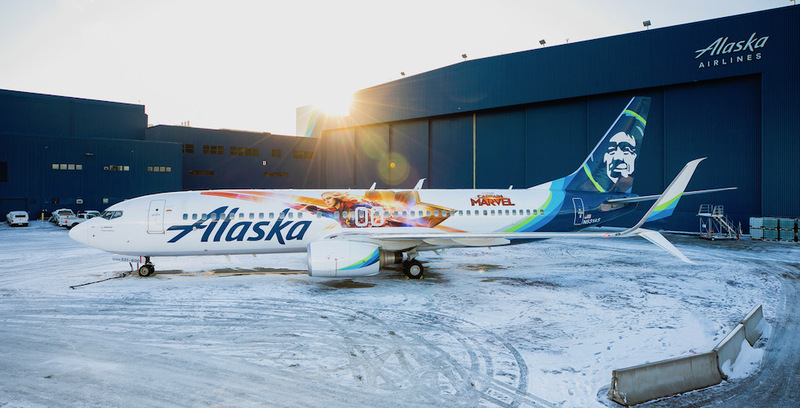 The themed 737-800 plane is now flying throughout Alaska’s route network. The plane will visit fans throughout the country through cross-country routes and flights to Hawaii. As a special offer, Alaska Airlines social media followers can enter from Feb. 6-9 for a chance to win one pair of tickets to the premiere of Marvel Studios’ “Captain Marvel,” which includes round-trip airfare and hotel accommodations for two in Los Angeles. You can learn more about this contest here. Check out the latest trailer for “Captain Marvel” below, and catch it in theaters on March 8, 2019.